Sugar. I made my hair ugly. Years & years ago, I used to colour my own hair. 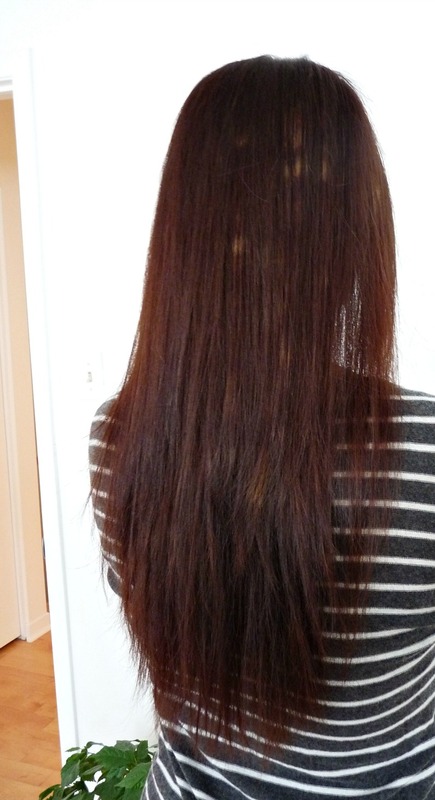 I used henna, every brand of semi-permanent dye, plus I coloured over other dye, highlights – you name it. Hubs (my then boyfriend) even cut my hair for awhile, which I mentioned here, so I am no stranger to the DIY hair-do. But a few years back I turned to a hair dresser to help grow out a black, DIY dye job gracefully. She suggested a chic, ombre colour that I loved. Over the years, she created a fabulous angled bob, then a lovely crisp layered cut and then some glittery highlights for me. But somewhere along the way she lost her magic. My last set of highlights were too brassy, but the cut was sharp. Then the next cut was crooked and wonky. I panicked, because I hate finding a new stylist and have a fear of spas and salons. So I avoided getting my hair cut, or coloured, for about a year. My highlights got worse and worse. 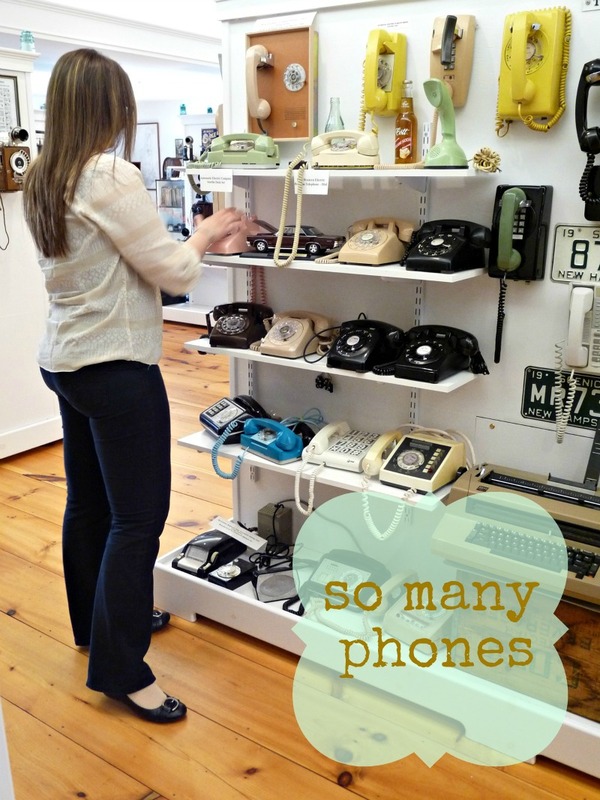 See how drab and faded my highlights were on our trip to Boston (I snagged this photo from my telephone museum post)? They were also getting really grown out. I finally had enough and bought a box of hair dye, deciding to return to my DIY ways. I’d coloured over highlights before and I picked a colour close to my natural shade, thinking things would go smoothly. The weird, splotchiness disappears if I pin my hair up, so I’ve been rocking some Joan Holloway updos but that’s hardly a permanent solution. I called customer service and was sent a coupon for a free box of dye, but I’m scared I might make it worse. Hmm… I know you have a fear of salons, but I always go to a stylist now after an orange hair incident with dye. I go to Texture downtown on Dalhousie (I see Marie-Lynn), if you say I sent you, you get 15% off!Otherwise, I would try dying it again out of the box, and ensure you get those spots! Good tip! I might have to go to Texture and get some professional help here. Thanks for sharing your salon's name (and discount)! Oh no! 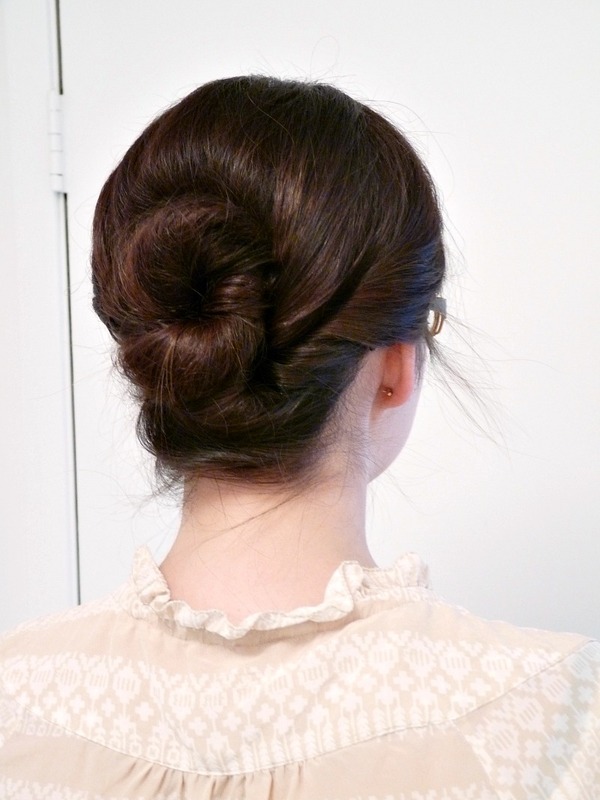 I hate finding a stylist too, and I haven't been fond of the one I was going to, so I've just been ignoring the state of my hair too and have been contemplating buying a box… Now, maybe not… However, I love your updo! Looks so pretty and sophisticated! Oh no! Good to know re-dying it didn't help. That has been my fear. Maybe a pro is the way to go . . . Your hair looks super cute now. It looks like the dye didn't get distributed evenly the first time (pretty color, though!) I would take the free box (same color/brand right?) and have your husband literally paint it on the splotches only. On dry hair. With an artists natural paintbrush. Leave it for recommended time, wash and condition your entire head. That should even it out, or at least get it to a more homogeneous state to go to the salon with. 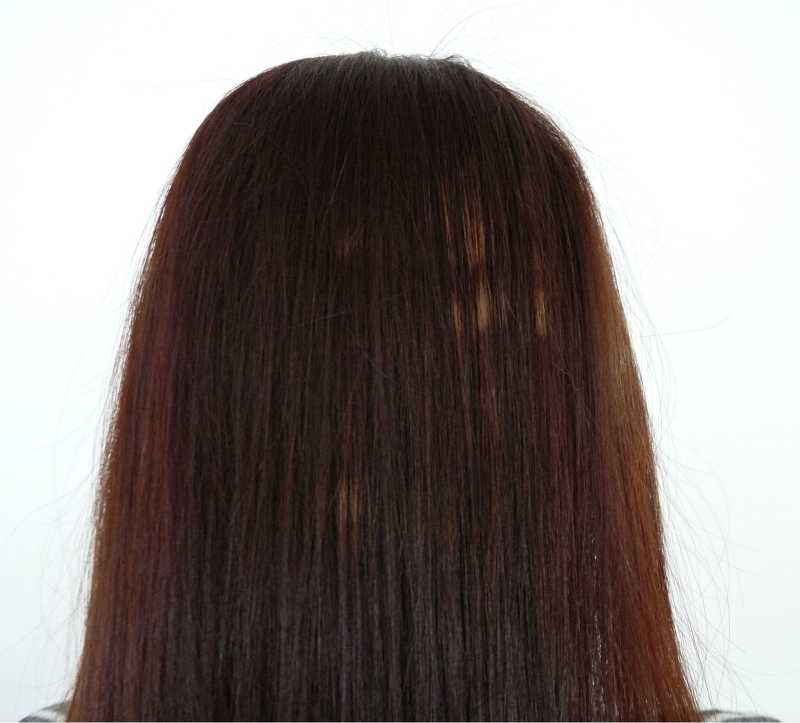 If you try to over-dye your whole head the splotches could still show up. Good tip!! I have been worried about just making the problem worse. Re-dying the light bits only might be the trick. Thanks! I agree with Mary! And I'm a hairdresser. Just be careful not to put too much of the color on the rest of your hair, as that can make it go darker. I use to dye my own hair and what not but now i think its best just to grow out your roots to the natural hair color! I'd say spend a little bit on your hair and get it done professionally once. If you're from Toronto, you should go to yorkdale (across from holts) there is a salon and its perfect. Her name is Josie and she's the best hair dress you'll find in Toronto to cut long hair. Good luck Tanya! Great tip! I do travel to Toronto a lot and could see a stylist there. Thanks for the help! I say embrace it! Call it DIY'ing yourself. In another 4-6 weeks you should be able to do your next Hair DIY without stressing your hair out too much. In the meantime, you have a conversation topic … if anyone is even willing to point it out (or if they even see it – it's amazing what people don't see that seems so glaringly obvious to ourselves). Oh no! I hate having to find a new stylist and salons are so expensive, but I usually try to stick to them when it comes to doing my hair. I started dying mine dark solid colors at home for a few years but I just did blonde highlights, so I'm back in the salon. Most places will do a toner or touch up cut if you aren't totally happy! I have been there before, too. I ultimately had to go into a good salon and have them restore my hair. I would recommend spending the next six months or so treating it very kindly. One mask I like to use is made by mixing one half of an avocado with olive oil. The healthier your hair, the better the dye will take. Ooo, I will have to try that mask! I would re-dye it with the same color, ask the husband to make sure you get the spots you missed the first time. Or go to a salon. Also, make sure you don't wash your hair beforehand, the natural oils helps the color adsorb properly. I have only had professional color or highlights done a couple times, but my stylist told me things like chemotherapy or thyroid medications can affect how the color turns out (she actually had a client getting hair color done while going through chemo). I used to get my hair dyed and then did it myself for many many years (like 30 yes I'm old). Red, purple, brown, blond, red with blond highlights, etc. I was every color except pink, blue and green. Well no, one summer I was unintentionally green. Two years ago I stopped coloring my hair. I was taking some medication and it was falling out and so dry and damaged. I literally cut it all off to a very very short pixi cut, grew it out to my natural color and then have been regrowing it long since. I'm at a chin length bob, all natural, never used a blow dryer, curling iron, straightener or chemicals (except for shampoo, conditioner and a curl cream) on my hair. It's the healthiest it's been since before I started adding highlights or perms when I was 12! I'm such a hair fanatic now. I went from anything goes – it will always grow out, to – my precious hair don't touch it! I hate getting my hair cut. UGH. I can so empathize not trusting a salon or a new stylist.That said, with your hair I would stop and go to a salon. You don't want to over process your hair. They should be able to fix it with the least amount of damage to your hair. Good luck! It's such a good point that we take something for granted until we don't have it anymore! I am not super nice to my hair: dying and blow drying, but it's so long and grows so fast I figure it can take it. But my grandma (whose super fine hair became very thin) is always stroking it, telling me to treasure it 🙂 She hates when I had it super short, lol, because she can't grow it long any more and it pained her that I voluntarily had a pixie cut, super short bob, etc., before I grew it long. She keeps warning me I should treat my hair better. Thanks for sharing! The colour is great, but omg those splotches are so crazy! I thought it was a funny reflection or light… Maybe your hair is long enough that you have to use 2 packages of hair dye to get enough coverage.I used to be addicted to dying my hair. I haven't coloured it in 4 years and am definitely suffering withdrawal lol. With dark curly hair it looks like a blob – no definition. I could definitely use some highlights but I hate all the maintenance! Oh no! I say try the free box of dye and if that doesn't work find a new stylist. With a good cut your hair will feel loved after all the processing. Oh nos I'm scared now. I was going to dye my hair tonight to get rid of my grown out highlights before I get it cut and colored in two weeks.,.but what if I get splotches now! I have dyed my hair many times but try to leave the tricky stuff to the professionals. What if you have someone Domitian since you need a cut anyways? I didn't mean to scare you! But if you're headed to a pro anyway . . . maybe let them take care of the highlights? This never happened to me before, either! 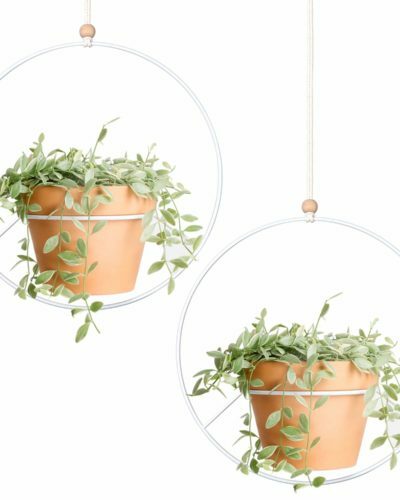 But I guess with DIY anything can happen . . . So annoying! I haven't done my own hair in a long long time because I am too afraid..There was a time where my mom and I did my streaks but no more. Good luck! EK!